It can be difficult to ensure your cattle have a balanced diet rich in essential minerals once you allow them to range and forage throughout a large pasture. Mineral tubs can be the answer to making sure your cattle have the proper nutrition. What Are Mineral Tubs and Their Benefits? Mineral tubs are large tubs or blocks of solid feed, blended with a number of essential minerals that may include calcium, magnesium, cobalt, copper, iodine, zinc, selenium, potassium, manganese and other critical minerals and vitamins. The blocks are often flavored with a tasty treat, such as molasses, to entice cattle to lick and nibble. Because of the density of the blocks, however, the cattle cannot overindulge – instead, they often get just a few licks of the block each time they visit, and must wait for the block to soften slightly before they can get another taste. This ensures the minerals are available to more animals and that individual cattle cannot overdose themselves with too many minerals. Different nutritional blends to meet the needs of different cattle breeds, genders, ages or health concerns. Blends are available specifically for beef or dairy cattle, calves, pregnant or nursing cows or animals in different pastures or in different seasons when nutritional needs change. Weather-resistant formulas that can be offered to cattle regardless of wind or rain. Tubs or blocks should be positioned out of direct sun during the hottest temperatures, however, or they may soften too quickly. Compact, dense design is easy to store so there will always be tubs available when cattle need their supplements. Different sizes are available ranging from 30-250 pounds, allowing you to offer just the amount of mineral supplements your herd size requires. 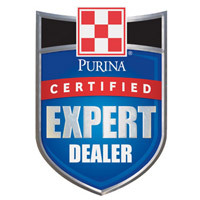 Choose the proper tub formula to meet your animals' needs. If necessary, consult with your veterinarian about any dietary deficiencies before choosing a mineral tub. 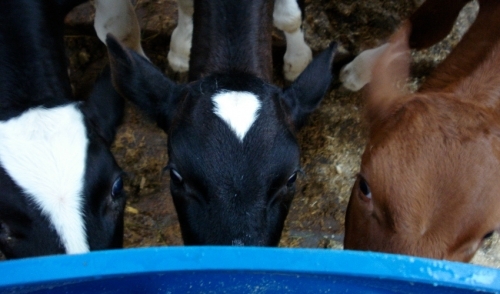 Choose the right tub size to offer adequate nutrition to your herd and to be sure the tub lasts a good amount of time without frequent replacements. Offer several mineral tubs if you have a large herd. In general, a single mineral tub is suitable for 25-30 head of cattle, depending on the size of the tub and the needs of the animals. Position tubs in easily accessible locations to provide good access for all animals. Near a watering hole or preferred feeding area is ideal to be sure all animals visit the tub. Check mineral tubs regularly to be sure they are being used appropriately and are still useful to cattle. Change tubs if needed to meet the animals' changing nutritional needs. Mineral tubs can be a great option to ensure your cattle are receiving the proper nutrition, including all the trace vitamins and minerals they need for a balanced, healthy diet.